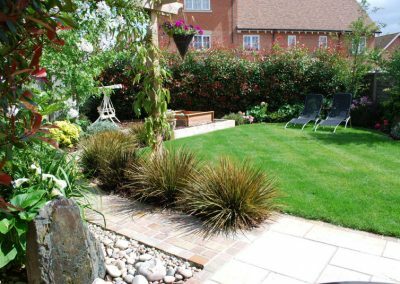 Our client asked us to transform her standard square development garden into something which had more shape and interest. 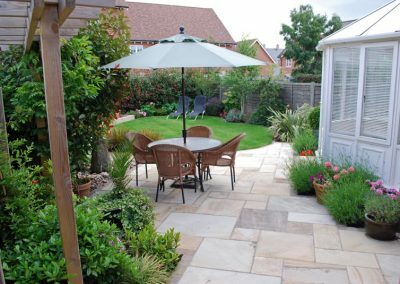 We firstly designed the new paving to go in at a 45 degree angle and created bold shaping to take the eye away from the square plot. Sandstone setts were used for the path which led to a children’s sandpit area and the same Sandstone setts were used to create and edge to the patio and new lawn. 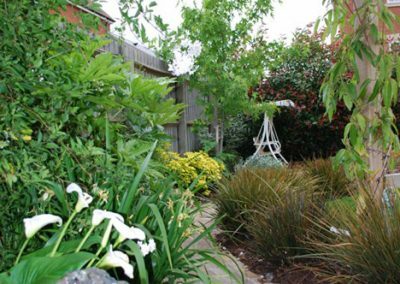 A pergola was designed and installed in order to create a sense of scale and screening which would be softened by climbing plants. 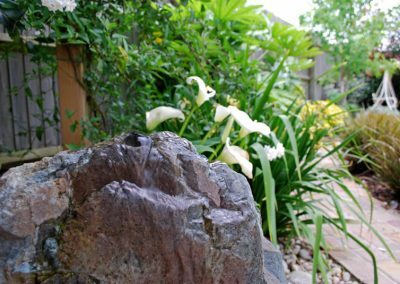 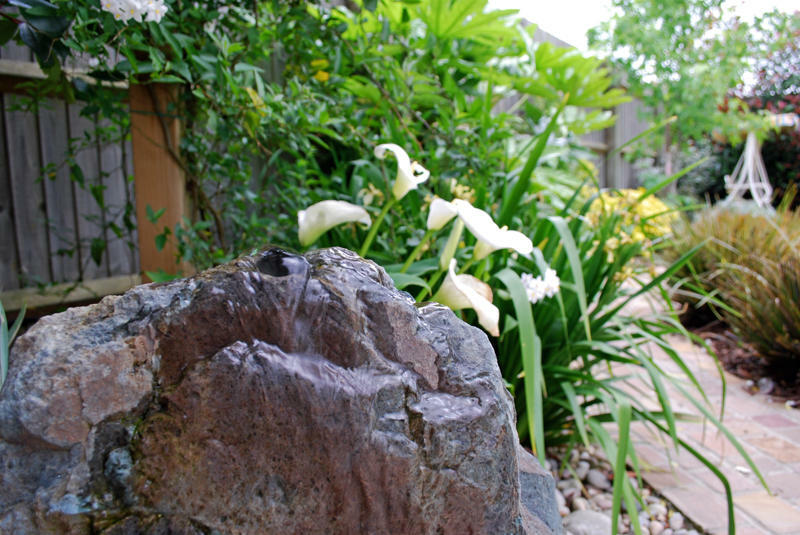 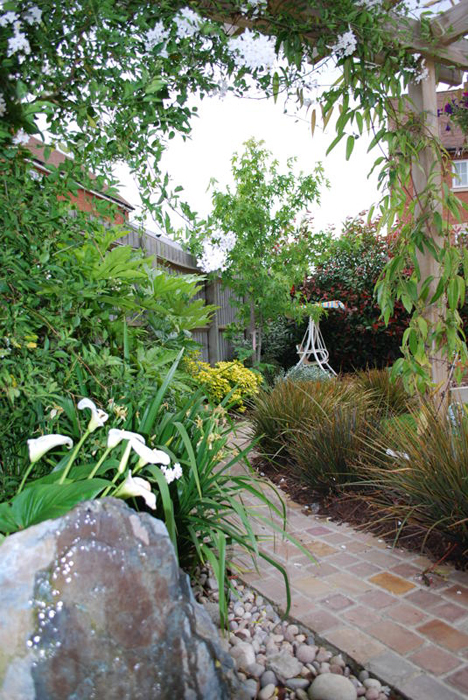 A drilled standing stone water feature was installed and the garden was softened with a new planting scheme throughout.